Murray Racing :: Termele wins John Carlton Cup! Termele wins John Carlton Cup! 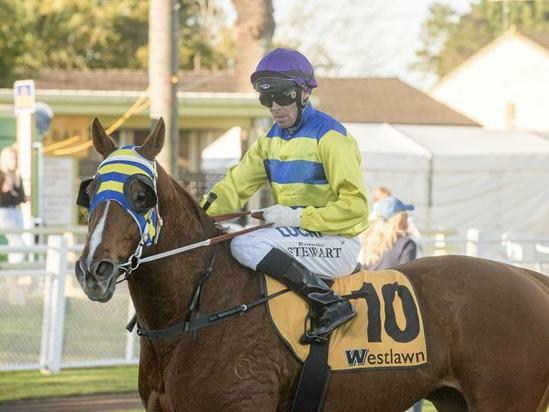 Termele did the Murray Stables and family proud during the Grafton Cup Carnival by winning the John Carlton Cup. Termele was a rank outsider who was ridden to perfection by jockey, Ronnie Stewart. After jumping strong from the wide lane in barrier 13, Stewart let the leader go and sat behind and settled in. "I knew we always had the leader but it was just what was behind us because it was a cracking tempo but she showed a lot of heart." Stewart held off a late challenge from Three Sheets to take the John Carlton Cup Quality by two lengths.